An International Trainer, Business Coach, Motivational Speaker, Author, and an Avid Blogger. Shamim Rafeek is a Gold Medalist in Master of Business Administration and the brainchild behind Winner in You Training & Coaching Service. Shamim is a professionally Certified Coach by the International Coach Federation (ICF) USA and he broke new ground in experiential training & coaching with Winner in You. Shamim has several laurels to his credit gained over 23 years of experience in the corporate and training world. He began his career as Marketing Head of Emtex International Ltd., Switzerland & later worked for Matsben Corporation Pvt. Ltd., Singapore as its Executive Director. After a long stint of 12 successful years as Executive Director & Chief Operating Officer with Multi crore diversified group, Mathewsons, Shamim is now resting on his laurels as the CEO & Chief Facilitator of Winner In You Training & Coaching Services. He is the founder of "Eagle Entrepreneurship Coaching Program" trasforming the lives of hundreds of Entrepreneurs in the country. Over the years, Shamim has coached and trained Executives, Managers, CEOs, Entrepreneurs, Professionals , managed corporate events and motivated audiences in India and abroad. His training programs have transformed the lives of more than 300,000 plus participants the world over. His brand wagon includes Hindustan Unilever, Vodafone, Idea, ITC, Indian Navy, Lulu Group, Havells, Malayala Manorama, Asianet, Kalyan Silks, Bhima Jewellers, Apollo Tyres, L.I.C of India, Indian Oil Corporation, Saint Gobain, Cipla Pharma, UAE Exchange, Federal Bank, MRF Tyres, V-Guard, Muthoot Finance, AVT, Geojit BNP Paribas, and to cut it short its more than 700 companies in 8 countries. He also does Business Coaching currently for more than a dozen Companies in India. Shamim has joined hands with iconic Entrepreneur Shri.Kochouseph Chittilappilly for the on-going Entrepreneurship development program “Vijayee Bhava” which has helped more than 480 plus Entrepreneurs in Kerala to make their ventures successful. 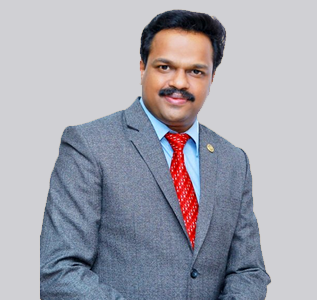 He is an active member of several professional & social organizations like, Rotary International, Kerala Management Association, National Institute of Personal Management, Indian Society for Training & Development, CII-Young Indians, Global Speakers Federation, USA, Association of Technical Scholarship, Japan & International Coach Federation,USA. Shamim communicates regularly to his audience through his blog www.shamimrafeek.blogspot.com and has published a book on management – “Success through Excellence” – which was released by Academy Award winner Padmasree Resul Pookutty. He is the recipient of Indian Society for Training & Development’s (ISTD) “Trainer of the Year 2016” Award. He is also the recipient of "Ente Samrambam - Gods Own Brands Best Entrepreneurship Coach Award 2018".